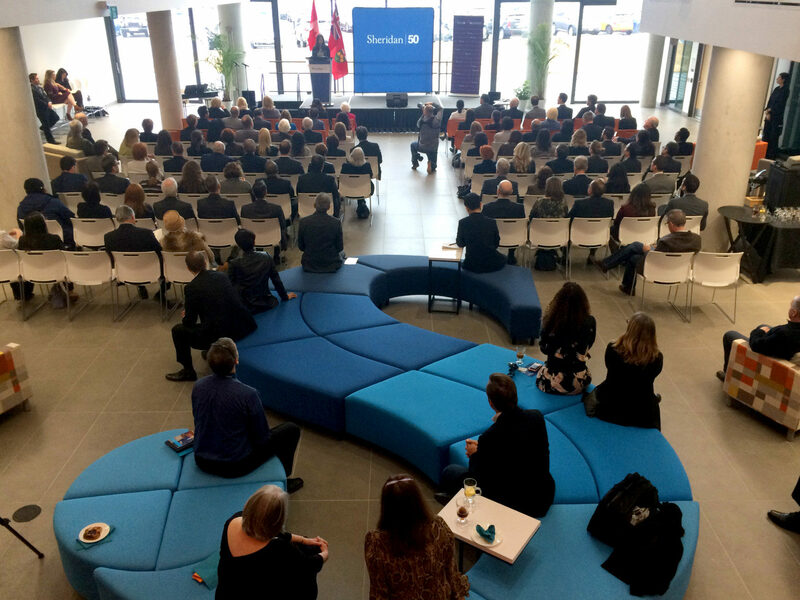 Sheridan College celebrated the grand opening of its newest addition to the Mississauga campus Friday. 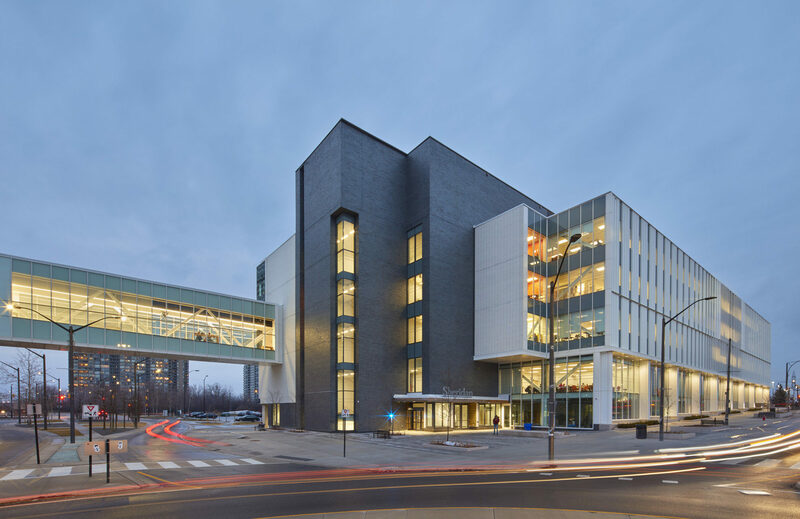 The Hazel McCallion Campus Phase 2 building (HMC2) is the second building designed for the Creative Campus. Designed in joint venture with Montgomery Sisam Architects, the new building houses Sheridan’s Sustainable Built Environment Department consisting of Architecture, Interior Design, Interior Decorating and Visual Merchandizing programs. The design encourages students to explore, learn and be inspired. Filled with natural light, views to nature, warm materials and comfortable scale, the user immediately feels compelled to explore the variety of collaborative spaces — which function together to encourage innovation and promote learning. The 220,000 SF building contributes to Sheridan’s ambitious urban design vision that aims to densify and energize Mississauga’s downtown core.